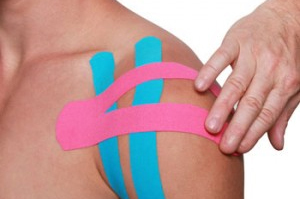 There are a large number of different taping techniques that can be used for different anatomical locations. In the acute phase immediately following an injury. This is to prevent further movement which may aggravate the injury and also to provide compressive support in an effort to control the amount of swelling. During the active rehabilitation period to provide mechanical support and proprioceptive feedback to the damaged joint in an effort to reduce the risk of re-injury.